May 16, 2017 -- Doctors have used cortisone shots for years to relieve pain for their patients with knee osteoarthritis. Now, a new study suggests the shots may not provide long-term pain relief or protect knee cartilage. Timothy McAlindon, MD, chief of rheumatology at Tufts Medical Center, led a study that showed a potential for a small amount of cartilage loss over a 2-year period. Numerous studies have found that injections of cortisone, also called corticosteroids, ease knee pain on a short-term basis. But other studies have also suggested that they may be harmful long-term, McAlindon says. 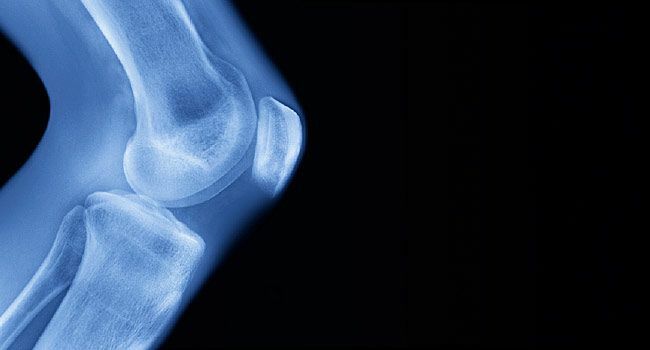 Despite that finding, researchers wanted to test whether the shots could have an effect on inflammation and the role it plays in damaging knee cartilage. "We thought that administering corticosteroids every 3 months over the long term might reduce inflammation, and at least slow down the progression of the cartilage damage,'' McAlindon says. His team randomly assigned 140 patients with painful knee osteoarthritis to get either injections with the corticosteroid triamcinolone (Kenalog) or saline injections every 12 weeks for 2 years. Participants reported their pain levels every 3 months. They also received an MRI to evaluate effects on the cartilage at the start of the study and again at 12 and 24 months. McAlindon says the group that got the steroid shots had slightly more cartilage loss than the group that got the saline shots. "The actual amount was small, and not that concerning," McAlindon says. "But it does illustrate the potential for cartilage loss if [corticosteroids are] given long-term for years and years." Pain relief did not differ enough to be significant between the groups. But the researchers did not ask the people in the study to report on their pain levels in the 4-week period after each injection, when they would be most likely to have relief. McAlindon says that is a limitation of the study. Despite the study results, McAlindon says he believes cortisone shots have a role in treating knee arthritis. He says that he gives repeated cortisone injections to some of his patients if other choices, such as knee replacement, aren't practical. "You have to weigh the risks and the benefits," he says. Some people might decide it’s OK to risk a small amount of cartilage loss in exchange for even short-term pain relief. David Felson, MD, professor of medicine at Boston University, worries that the study results will discourage people from using an effective treatment that helps many get pain relief. He says the changes in cartilage that the study found ''are not that concerning." And though researchers said they followed practice guidelines to set the dose of steroids used in the study, Felson says many of his colleagues use double that amount with their patients. That higher amount of steroids may cut inflammation even more, he says. Wellington Hsu, MD, a professor at Northwestern University's Feinberg School of Medicine, says cortisone injections that give relief for short-term pain may help restore someone’s mobility ''when knee arthritis flares up so badly you can't walk." But he suggests that people with long-term knee pain from osteoarthritis consider other things, such as platelet-rich plasma and stem cells, for longer-lasting relief. JAMA: "Effect of Intra-articular Triamcinolone vs Saline on Knee Cartilage Volume and Pain in Patients with Knee Osteoarthritis." Timothy E. McAlindon, MD, the Natalie V. Zucker and Milton O. Zucker Chair of Rheumatology, Tufts University School of Medicine, and chief of rheumatology, Tufts Medical Center. David Felson, MD, professor of medicine, Boston University. Wellington K. Hsu, MD, Clifford C. Raisbeck, MD, Professor of Orthopedic Surgery, associate professor of orthopedic surgery, Northwestern University Feinberg School of Medicine.